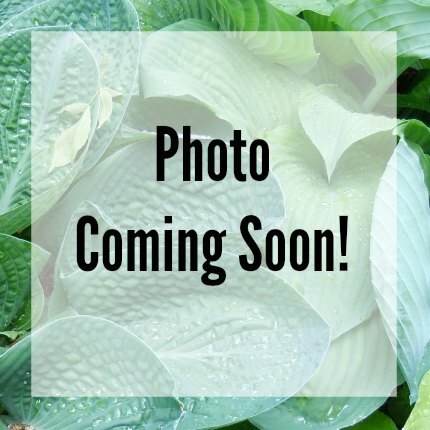 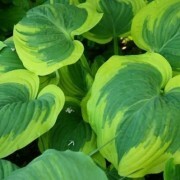 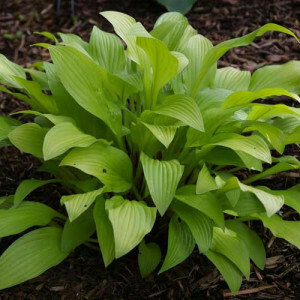 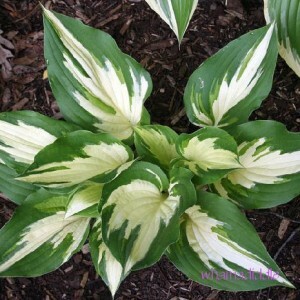 Canadian Foreign Affairs Hosta – Dark green, ovate shaped leaves on this giant hosta. 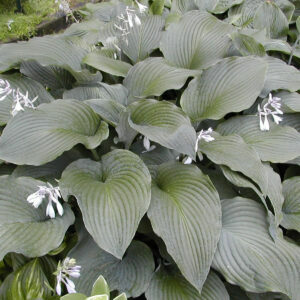 Quite possibly the tallest hosta. 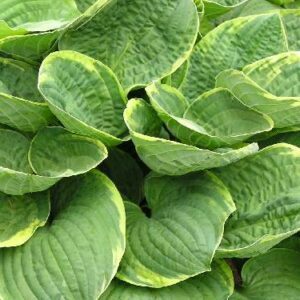 Leaves are thick and have deep ribbing. 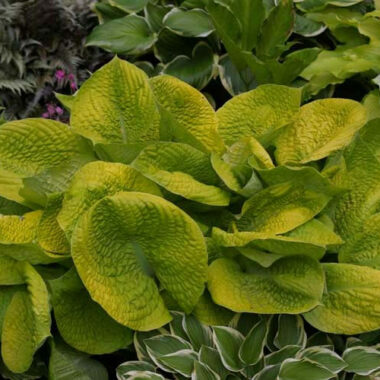 Very Large: Semi-upright mound of shiny, light green foliage topped by tall flower scapes; mound as large as 39″ high x 80″ wide; leaves 16″ long x 12″ wide; leaves also ovate to broadly ovate-shape, smooth-textured, and thick substanced; thin underside bloom.